'Keep one by the bed, one in the car, one in the office, and one in your pocket or handbag!' 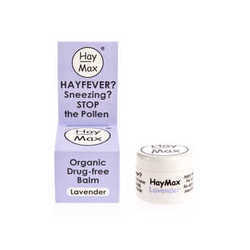 Haymax is a natural balm, which acts as a highly effective barrier to your hay fever woes and is a drug free solution, made from organic beeswax, seed oil and essential oils. 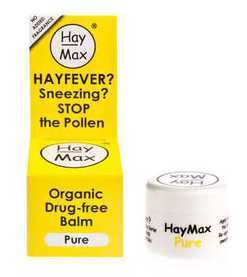 Haymax is a must-have for your spring and summer holiday beauty kit.